If you’re new to the world of wine, welcome! 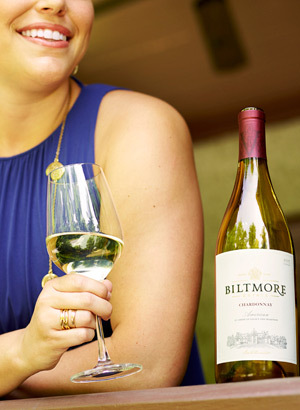 If you’re looking to get more out of tasting wine, remember the three S’s: swirl, sniff, and sip. Start by swirling the wine in your glass. This releases the aromas and allows you to observe the color and viscosity of the wine. (Sparkling wine is an exception; swirling it will only release the carbonation.) Next, sniff. Put your nose to the glass and inhale deeply. See if you can pick up notes of various fruits, spices, herbs, or flowers. Finally, take a sip – but don’t swallow immediately. Let the wine come in contact with all of your taste buds. You can also aerate the wine by drawing air into your mouth. This further releases the flavors and allows the aromas to reach your nose. Wine should be stored in a dark room at about 55° F. A temperature-controlled wine cooler is a great option, but a basement or closet works as well. Be sure to store the bottles on their sides or pointed downward so that the wine comes in contact with the cork. This will keep the cork from drying out and prevent air from entering the bottle. The fall season marks the beginning of the winemaking process. During harvest, grapes are picked by hand and brought back to the Winery for destemming and crushing (where grapes are turned into must). The must is then pressed and transferred to tanks to begin fermentation. The pressing technique varies for red wines and white wines. The must for red wines is transferred directly to the tanks for fermentation and will be pressed before going into barrels. By fermenting with their skins on, it helps to extract color, additional flavors, and tannins. White grapes, meanwhile, are pressed before fermentation to release their juice. This juice is then transferred into a tank to start the fermentation process. 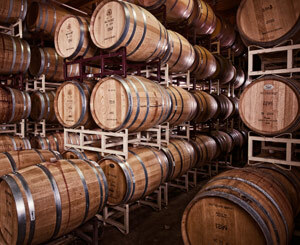 After fermentation is complete, most red wines and a few white wines will be transferred to barrels for aging. This process – lasting anywhere from six months to two years – imparts unique flavor characteristics to the wine. Once aged, the wine is blended, bottled, and, finally, enjoyed. Learn more at the Biltmore Blog.